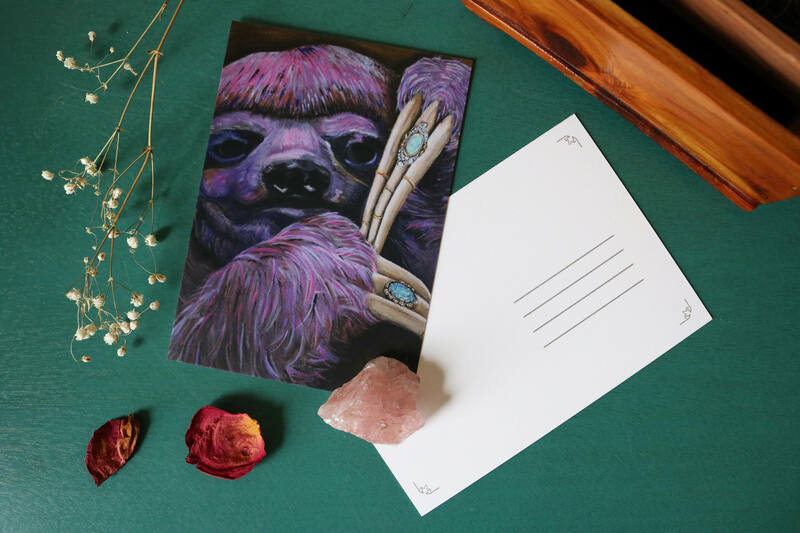 Postcard print of Purple Sloth painting, printed on acid free, quality stock. Back is blank and ready to be written on, or can be matted to fit a 5x7 frame. The perfect gift for any animal lover! Card measures 4 1/8" x 5 3/4"
Packaged in resealable plastic envelopes and stiff cardboard to keep your card safe!